As already indicated in our article on how to set up a company in Panama, tax rates and laws here are very beneficial and benevolent. By using the US dollar, Panama has instigated great monetary and fiscal discipline which in turn has kept inflation at a very low rate which has been consistently under 2 per cent for the past four decades. Having the dollar as its standard currency has also protected Panama from economic shocks such as the economic crisis in Asia in 1998. This made Panama practically the best place to invest in Central and South America. The country has also completely abolished exchange controls and has no limits or restrictions on the remittance of monies abroad. These include interests, dividends as well as profits and royalties. There are also no forms of restrictions on the flowing in and out of funds through Panama. 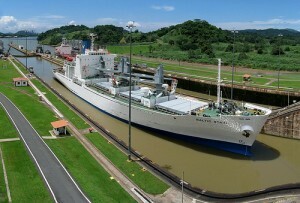 Panama also boasts that it has the best secrecy laws in the world with regards to banking and other corporate services. These are apparently also part of the country’s constitution. This makes it an ideal place to invest funds into since the country is not committed in any way to divulge information to other countries on bank customers. Panama is probably the only country in the world where privacy is an absolute right since this is actually a constitutional right. Privacy and confidentiality are absolute musts in Panama. In fact, Panama take the secrecy issue that little bit further since revealing any banking information to others is considered to be a crime which also carries a hefty prison sentence. Panama also has no sort of treaties with other countries for the sharing of banking and other financial information whilst court decisions which are made in other countries regarding financial information are not recognized. There is one exception regarding drug smuggling which makes sense since this is quite a despicable act and drug dealers should certainly not be offered sanctuary in other countries. Apart from that Panama’s reputation could be tarnished. An additional incentive for those who are registering their company in Panama is the fact that you can issue Bearer Shares. This allows the shareholders to retain complete privacy and anonymity on these shares. There is also a system of private interest foundations which allows for the private protection of documents as well as private interest foundations which enable these foundations to retain their anonymity as well as their privacy. Panama also has what is considered to be one of the most stable governments in the region. There has been a democratically elected government since 1990 and which is headed by the executive branch which is made up of a president as well as two vice presidents. These are democratically elected for a term of five years by universal suffrage. Panama also has a woman’s president who is Mireya Moscoso and who won the 1999 election with a landslide majority. Panama is also one of the few countries in the world which has abolished its military making it a safe place in every sense of the word. Coincidentally, Moscoyo was elected president in the year that Panama was granted full rights and ownership of the Panama Canal by the United States. Although it has no military, the country has a security understanding with the United States. The days of a military regime are now in the past. The government infrastructure is also state of the art and quite excellent with a pro-business thrust as well as a policy that attracts foreign investment. The legal system is also quite excellent and is modelled according to Roman law. Panama also has an excellent rating from Moody’s which is Ba1 for its sovereign debt ceiling while its default risk rating is BB+. The country boasts the lowest crime rate in Central and South America. Panama also has what is considered to be one of the largest international distribution centres in the world. This free trade zone is comparable to the trade centre in Hong Kong and boasts over 1500 businesses operating within the international import and export sector. The trade centre has quarter of a million visitors while turnover generated is in excess of USD 11 billion. The country has an open economy which provides some of the lowest fees and costs in the region. The legal framework is also extremely sound with over forty laws and decrees offering investors operational incentives such as a special import tax. There are several sectors which can benefit from these tax incentives such as tourism, mining, insurance and the agro industry. One of the most important laws is the Investments Stability Law provides the stability and legal framework to guarantee all foreign investors equal rights as well as creating an environment which does not require any special permit or registration.